The most unique hike I have been on in my life was through the Narrows in Zion National Park. Why? 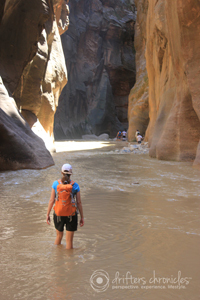 You hike through a river up the canyon. There are some spots along the side (not in water) to stop along the way to have lunch. There were times in the hike that the water was up to my waist! We also went during a time of possible flash floods (a little nerve wrecking). It was an amazing hike! 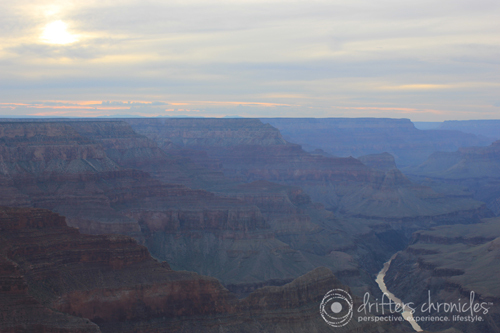 There are few places like the Grand Canyon as it is unlike any place you will ever hike. I was inspired by its beauty. The hiking wasn’t that challenging but you really didn’t know what you would see around each corner. It is hard to put into words just how unique the Grand Canyon actually is. If you move away from the herds of tourists, it can be quite peaceful. It can get extremely hot in the Canyon and we prepared for this trip by going to the grocery store ahead of time and picking up a case of water and other supplies. There is a reason why this is a wonder of the world! This entry was posted in Experience, Hers, His, Lifestyle, Nature, Perspective and tagged Grand Canyon, Hiking, Photography, Travel, Zion National Park. Bookmark the permalink.